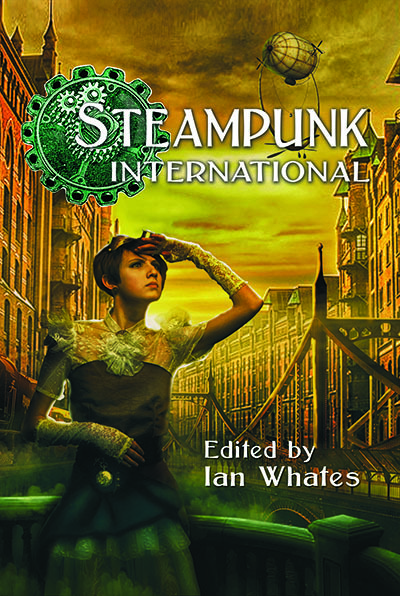 The English language edition of an anthology showcasing the very best steampunk stories from three different countries released by three different publishers in three different languages. From the UK, George Mann (a new Newbury & Hobbes tale), Jonathan Green (a new Pax Brittania tale), and Derry O’Dowd; from Finland, Magdalena Hai (winner of the Atorox Award and the Finnish Literary Export Prize), multiple award-winning Anne Leinonen, and J.S. Meresmaa (whose work has been shortlisted for the Anni Polva, Kuvastaja, and Atorox Awards); and from Portugal, Anton Stark, Diana Pinguicha, and Pedro Cipriano (winner of Fórum Fantástico's Choice of the Year Award). Available as a limited edition hardback, signed by the UK authors, paperback, and eBook. The Finnish language edition of this book is available from Osuuskumma.